Do I Need To Be Behind On My Bills Before I Can I File For Bankruptcy? No, that is not necessary at all. Some people are completely current on all their debts right before they file a St. Louis bankruptcy. And sometimes, individuals are several years behind on their bills before filing a petition. The exact time you file a Missouri bankruptcy is dependent upon several factors. If you are facing a home foreclosure, and you wish to keep your house, then it will be necessary to file a case immediately. Or if your car has been repossessed, and you want the automobile back, it would be advisable to file as soon as possible. In both of these situations, there is a limited amount of time before either asset is disposed of. And once the car or house is sold, there is no getting it back. Other factors that can make the filing of a St. Louis Chapter 7 bankruptcy or a St. Louis Chapter 13 bankruptcy more urgent are wage garnishments (in which your paycheck has being deducted up to 25% of your net earnings), bank levies (in which the creditor puts a freeze against your accounts, making it impossible for you to access the funds inside them), and a pending lawsuit (in which a creditor has sued you based on breach of contract). And of course, it should be noted that the overall stress that comes with having to deal with a great many creditors and collection agencies can be quite a burden to deal with as well. So if you are one of the many people who are at their wit’s end in putting up with such harassment, then filing sooner than later can give you a great deal of relief. But in general, there is no timeframe in which you must make a decision about whether or not to file a Missouri bankruptcy. Most of the time, it is a personal decision that is made when you feel the time is right (after having discussed it with you attorney, family, and/or significant other). The important thing to keep in mind is that the filing of a bankruptcy is an opportunity to regain your financial standing, reach your financial goals, and move forward with life. 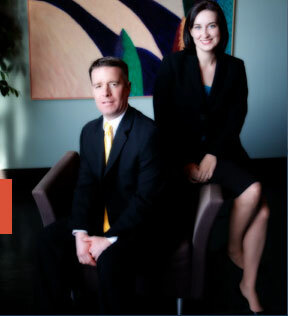 The affordable St. Louis bankruptcy attorneys at Brinkman & Alter, LLC have been helping people get through the these tough economic times for over ten (10) years. Our goal is to make sure that you are put in the best possible position moving forward, and that you completely understand what your options are. We have two locations: in the Central West End, at 1 North Taylor, St. Louis, MO 63108; and in the Twin Cities of Festus/Crystal City, at 1000 Truman Blvd (on Highway 61/67). The initial consultation is free of charge. So contact us today to learn more! !